Double Hearts and Flower Design in Italian Marquetry. 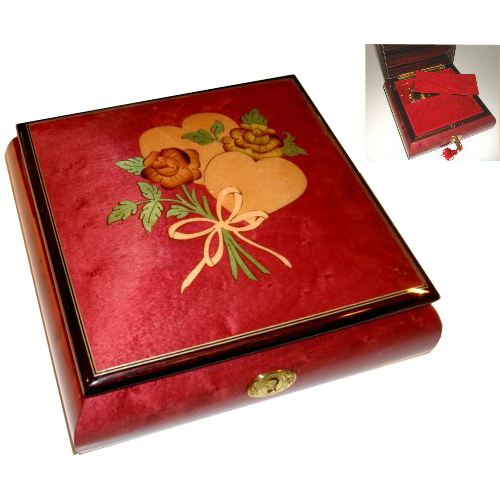 This beautiful 6.25" square box with wine colored finish and lining features a 2.5" x 4.5" compartment for small treasures, little brass feet, lock and key. You may select your favorite tune from our 18 note tune list.